Partial shading on photovoltaic (PV) panel consisting of multiple modules connected in series is a nuisance issue. Individual module characteristics are severely unbalanced due to the partial shading, and the extractable maximum power from the string as a whole is terribly reduced. 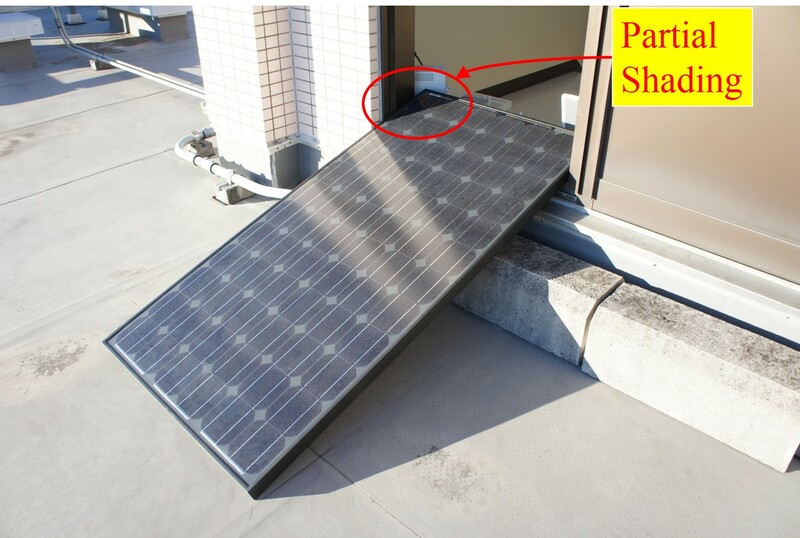 To maximize the extractable power and fully utilize PV panels, the partial shading issues must be properly precluded. We propose PV equalizers that transfer power from unshaded to shaded modules so that all PV module characteristics are virtually unified. 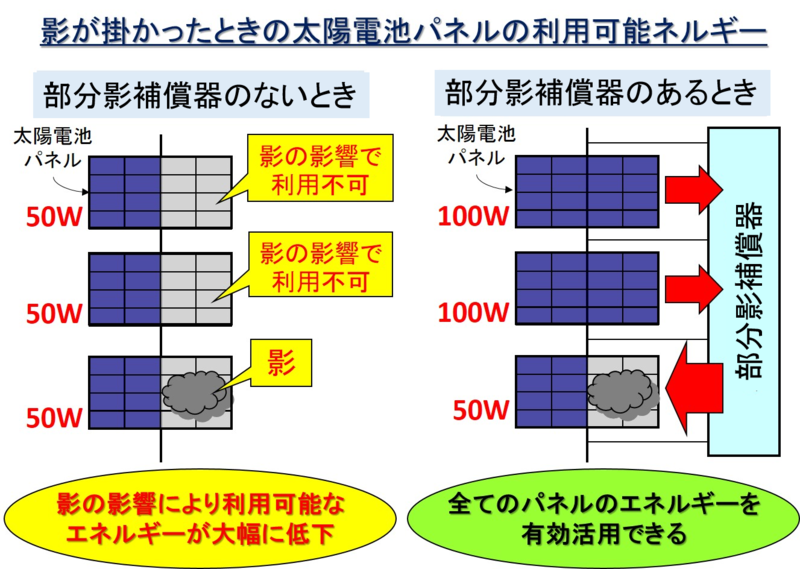 With the PV equalizers, PV panels behave as if there is no partial shading. 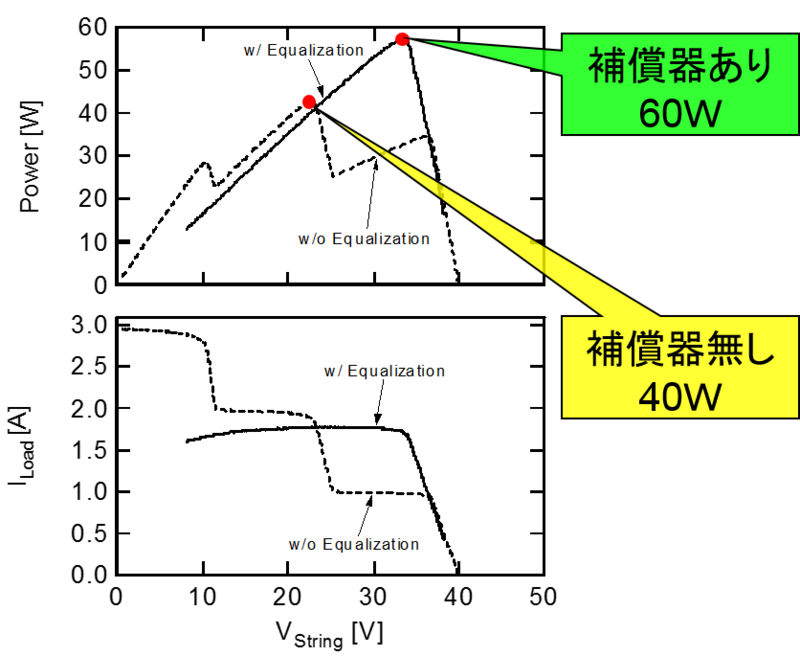 We are working on various kinds of novel PV equalizers. Collaborative research projects on PV equalizers are underway, and you will find our equalizers on the market someday soon.